The CCEC bursary may be awarded each year, up to a maximum amount of $1000, to cover conference registration fees and travel expenses (hotel and transportation). Receipts must be provided. Applications must be received by July 15. The successful recipient will be notified by July 30. Applicants must have been in the employ of a Chamber of Commerce/Board of Trade for a minimum of one year immediately preceding the application and be a member in good standing with CCEC. Bursaries will be awarded at the discretion of the CCEC Board of Directors. The Board reserves the right to not award any bursaries from the submissions received. 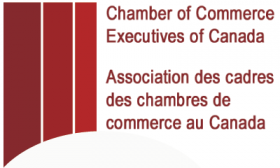 Applications must be accompanied by a one-page explanation clearly stating the reason the bursary is needed and how participating in the conference will benefit the individual and your Chamber/Board. Applicants must also enclose a financial statement for the Chamber/Board for the most recent two fiscal years and a letter of support from the chief volunteer. All questions on the application must be completed, and the form must be signed by the applicant. Only members in good standing with CCEC are eligible to apply. The successful recipient will agree to write a one page submission by October 31 for the CCEC website outlining what they gained from attending the conference.